“Health Problems After Taking Moringa”: Pankaj Oudhia on Forgotten Herbal Formulations to manage the Harmful Effects of Moringa. Moringa is under promotion as Miracle Tree around the globe. 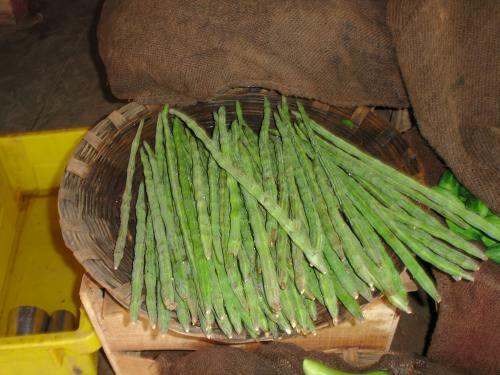 It is under cultivation in large areas and Internet is flooded with Moringa based Health products. Moringa is presented as sure cure for all diseases from common cold and cough to different types of cancer. Agriculture is said to be the backbone of Ghana’s economy. It employs about half the workforce of the nation. Investment in the sector has not been the best over the years culminating in decline in food production. Crescent University, Abeokuta held its sixth convocation lecture today with the topic title " Youths, Education and Nation-building: Challenges, Prospects and Realities in Nigeria", advocating government support for private universities. The best graduating student at Crescent University, Abeokuta, for the 2013/2014 academic session, Ibrahim Ayoola Olatunde has unveiled the reason behind his success as the valedictorian of the institution. US MEDIA GAVE LITTLE COVERAGE TO US-AFRICA SUMMIT. The Ghana Institute of Governance and Security has urged government to take a second look at the Draft Petroleum Exploration and Production Bill 2013 in order to shift from the present regime where oil blocks are given out on concession agreements. Parliament of Ghana okays Oil and Gas Freeport Project. Traditional medicinal knowledge about Latoia lepida Cram. (Lepidoptera : Limacodidae) feeding on Ama (Mango) leaves in Chhattisgarh, India. Updated Version. Traditional medicinal knowledge about Latoia lepida Cram. (Lepidoptera : Limacodidae) feeding on Neem (Azadirachta indica) leaves, in Chhattisgarh, India. Updated Version. Traditional medicinal knowledge about Pea leaf miner Phytomyza atricornis Gour. (Diptera : Agromyzidae) feeding on Bathua (Chenopodium album) leaves, in Chhattisgarh, India. Updated Version. Traditional medicinal knowledge about Mango stone Weevil Sternochetus mangiferae (Fabricius) [Coleoptera : Curculionidae] in Chhattisgarh, India. Updated Version.